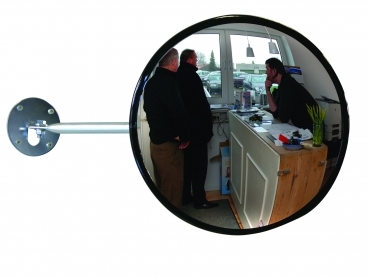 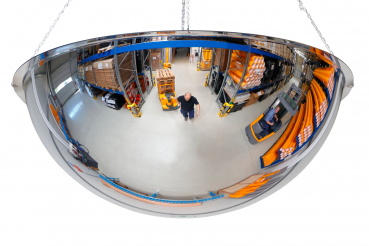 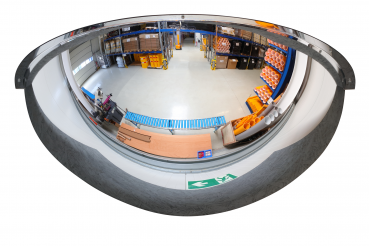 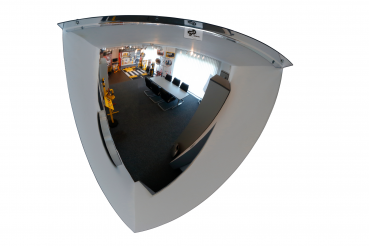 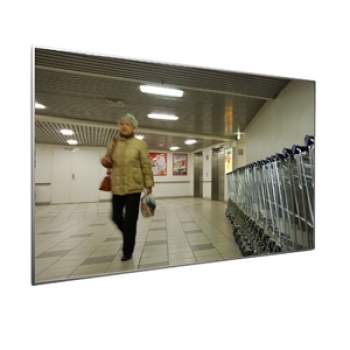 The TÜV-certified Dancop mirrors are an important component for securing sales areas. 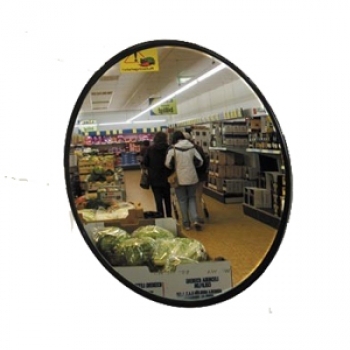 They serve as a deterrent to shoplifting and also allow in checkout areas an unobtrusive view of the shopping cart. 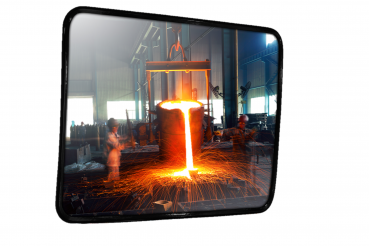 The assortment extends over 9 different variants, which are offered in different sizes. 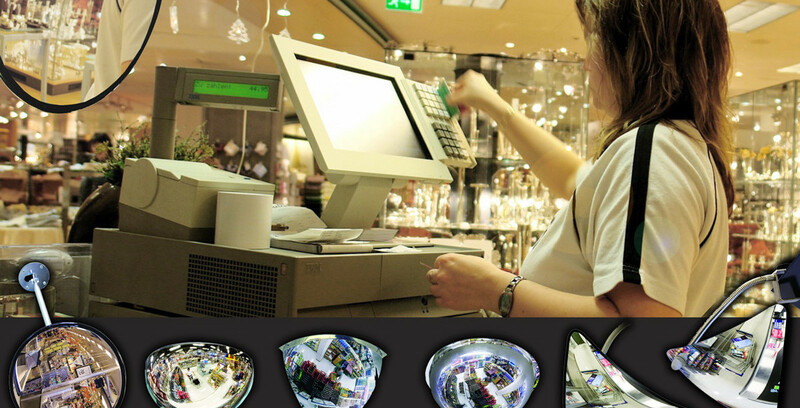 In addition to the widespread dome mirrors, this range extends over the EC and SM observation mirrors, the small cash desk mirrors and the ceiling-mounted Check Out mirrors, which, in combination with the cash desk mirrors, make the shopping cart unobtrusive to the customer.